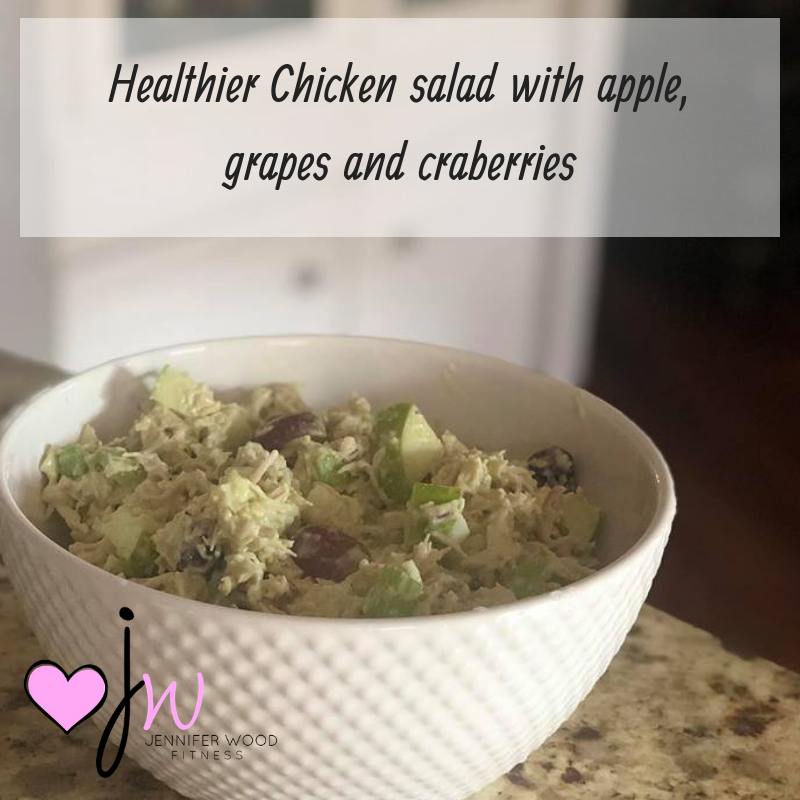 Jennifer Wood Fitness : Healthy Chicken Salad Made From Greek Yogurt, Avocado, Apple, Cranberry and Grapes. Healthy Chicken Salad Made From Greek Yogurt, Avocado, Apple, Cranberry and Grapes. Greek Yogurt, Avocado, Cranberry Chicken Salad - A healthier option that tastes amazing! Try it, you will not even miss all the mayo. I did use some mayo, but limited it to 2 tablespoons for the large batch I made. I will include both recipes. The large batch and a smaller one. This is perfect for a party or pot luck. You can enjoy it in lettuce wraps to make it low carb, or put on a croissant for a pretty presentation, toast a pita bread and fill it, or enjoy it on some sprouted grain bread. Follow me on Instagram, or add me on Facebook or contact me via email. If you would like support or nutrition guidance, I do run online groups monthly and would love to connect and see if it's something that might help you reach your health and or fitness goals. My passion is empowering women to live their best life!